Expert Boiler Repair Service in Fredericksburg, VA | Robert B. Payne, Inc.
Keep your boiler in working condition for as long as possible with the help of the well-experienced professionals with Robert B. Payne, Inc. We can handle any and all maintenance, service and installation needs for boilers in the area. If your current boiler is in working order, we can perform preventative maintenance so that you can avoid expensive and extensive repairs later on and so that you can enjoy your boiler when you need it most. One of the best ways to get the most out of your boiler is to understand exactly how it works. 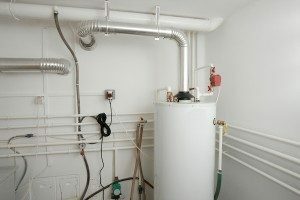 A boiler works by warming water up in order to create steam or hot water before directing it into the pipes of your home or commercial property through radiant floor systems, baseboard radiators or radiators. To get a deeper understanding of your boiler’s efficiency, a boiler that has an AFUE rating of 85 percent means that 85 percent of the fuel that is supplied to the boiler is used directly for heating your interior and 15 percent of that fuel is wasted. Essentially, the higher the AFUE rating, the less energy is being wasted. No matter what your needs might be, Robert B. Payne, Inc. has the experience and expertise required to help you find the perfect boiler for your Fredericksburg home or commercial property. Unlike our trained technicians, your boiler might break down and cease working effectively at any given moment. There is no set schedule for when the boiler is going to break; only long periods of use, minimal maintenance, and a dirty system will ruin something, and the unit will fail at the least opportune moment. When this happens, you should call in an HVAC expert for emergency plumbing situations. Our skilled technicians are on call at all times, allowing us to send someone your way for an emergency repair job at any time of the day or night – rain, sleet. or snow! We do not let bad weather or lack of sunlight stop our ability to perform repairs where they are needed. We offer prompt customer service available 24 hours per day, and you don’t need to worry about overtime charges when our HVAC experts come out to service your heating system. On average, the cost for a boiler repair job is around $350 across the country. The majority of homeowners and business owners who require boiler repair services pay between $171 and $524, depending on a few different factors. These factors include whether or not the system was maintained well, whether it has been cleaned properly on a regularly timed schedule, and whether or not specific parts need to be replaced. Upon arrival, our HVAC expert can determine exactly what needs to be completed in order to fully repair the boiler in your home or business. At this time, our technician can offer a comprehensive quote detailing the work that needs to be done, the parts that need to be replaced, and how long the repair will take. These items all factored together will give you the cost of the repair job. It is best not to let “nickel and dime” problems like regular maintenance build up, as they are more costly in the long run. What sort of guarantee will come with my new boiler? Here at Robert B. Payne, Inc, we offer only the highest-quality heating products and services, including top-notch boiler products, maintenance, and installation. When you choose a Robert B. Payne, Inc-approved boiler, we guarantee your 100% satisfaction. To ensure this, we provide customized assistance from start to finish. First, we offer a personalized estimate and consultation, to determine the best type of boiler for your home. Next, we complete the job in a timely and highly efficient manner. Contact Robert B. Payne, Inc today if you’re looking for boiler services and support that you can depend on! We’re always happy to offer our assistance. What are the different types of boiler that I can choose from? It’s important to select the right type of boiler for your home. With so many models to choose from, how do you go about making the right choice? First, you should always consult with a professional HVAC technician. Second, do your own research on each type of boiler. System boilers are compatible with solar water heating systems. Regular boilers are best suited for homes or businesses that have a traditional heating system. Combination boilers are both highly efficient and well-suited for central HVAC systems. If you have questions about the different types of boilers, get in touch with Robert B. Payne, Inc today! Call Robert B. Payne, Inc. today at (540) 373-5876 or contact us online if you are interested in a free estimate on a boiler, or if you would like more information on any of the other heating products and services that we offer.